I received a package from an online vendor the other day, and it contained a blend I have not encountered before called “Evolution”. It is made by Mary Joy . This is one of their most popular brands, and part of a full line-up of new products. They are marketed to the UK market, but they show up in US stores and online shops often. This blend came in a nicely designed 3 gram package. The image on the front can only be described as a demented clown woman holding her finger up to her mouth in an enticing manner. The color of the herbs inside is an olive green color with a light spearmint scent. No major sticks or stems are noted, and the mix seems to be lightly ground. The smell after burning is heavy and sour and without a hint of the original spearmint scent. I placed a few pinches into my incense burner and waited for the smoke to fill the room. The aroma is noticed very quickly, with a nearly instant change in the mood of the room. A “swimmy” headspace is followed quickly by dry mouth and red eyes. I opened the windows to the room and let it clear out a bit. After about 10 minutes or so the mood in the room changed to a nice mellow feeling that continued for the next 45 minutes or so. This is an interesting blend that is stronger than the last Mary Joy product I tried (called just “Mary Joy”). I like this one a lot better, and if it wasn’t for the price , I would rate this higher. I am fan of Mary Joy legal high products from long time. 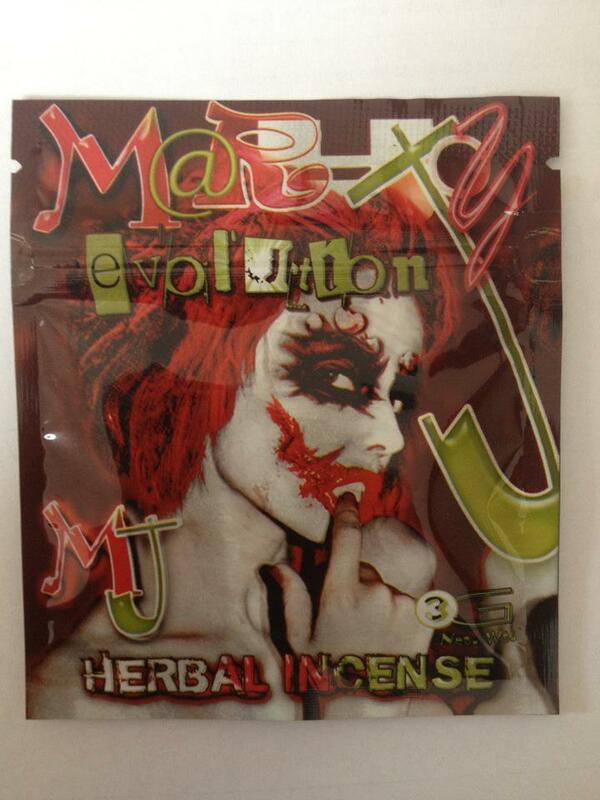 Without trying Evolution I can say that this is one of the best herbal incense. Will try it and post review soon though. I tried it recently and it is as much as good like their other products. Need some more on this weekends. After trying it last night I must say the Evolution is one of the best MJ product ever. recom’d to everyone. thanks for d review, I am thinking to try it out this weekends. Mary Joy’s products are best all the time. its strong aroma and potent blend makes it better from any other brand. yes MJ is the best in all category. I loved these back in 2013! Is there any place you can still order them from? Online or anything? Thanks a lot.